EURAO started the application process four years ago, in 2014, having to provide a lot of information about its organisation: legal aspects, finances, structure, membership, tasks done, etc. 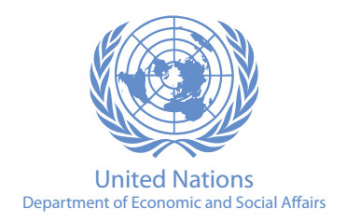 With this recognition, EURAO can be heard in the subsidiary bodies of the UN and even participate in its meetings in person, although its initial intention is just to make itself available to them (QRV) and collect information. Amateur radio is of great help in developing countries, emergency communications, health, education, etc. Some of EURAO members carry out an outstanding work in this sense: with children, with indigenous communities, with migrants, etc. 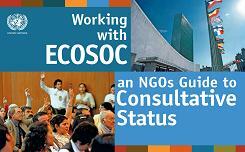 To know more about benefits of the consultative status, there is this interesting booklet, in several languages, entitled "Working with ECOSOC". On the personalized confirmation letter, you can also find a short list of privileges and obligations that organizations with consultative status have to take into account. This grant is really a great honor for EURAO, as well as a responsibility before the global radio amateurs community.